In pursuit of its overarching goal of furthering the science of psychology, APS has been supporting efforts to revise the state licensure laws for clinical psychologists. 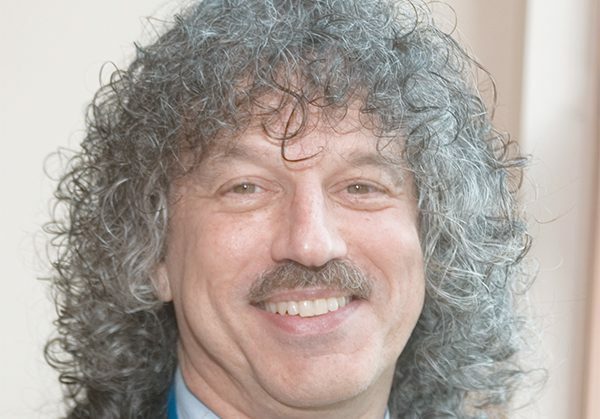 In this guest column, Robert W. Levenson, former president of the Society for Psychophysiological Research and an APS Past President, and a leader in research on human emotion, explains why. Why devote a presidential column in the Observer to licensure for clinical psychologists? Why is APS deeply involved with this issue? How is this topic relevant for psychological scientists of the nonclinical persuasion? Fair questions all. Still, I hope you will read on. I believe that licensure is an issue of great importance to us all and that it goes to the very heart of why we do psychological science. In the United States, licensure is the province of the states. Each state has a licensing board or similar regulatory agency charged with safeguarding the health and welfare of its citizens by ensuring that those who offer mental health services (e.g., therapy, assessment) are properly trained, knowledgeable, and ethical. The vulnerability and dire need of many of those who seek mental health services make it extremely important to have an independent body that sets standards for providers. Given the complexity of the issues involved, it is not surprising that different states have come up with different laws and regulations governing licensing. However, one element common to most states is that licensed providers must have been trained in programs that have been accredited by a professional organization. And therein lies the rub. For doctoral-level psychologists trained in the United States since 1948, accreditation has been synonymous with the accrediting system administered by the American Psychological Association’s Commission on Accreditation (commonly referred to as “APA accreditation”). Thus, APA accreditation serves as a major gatekeeper in most states, determining who can be licensed to provide mental health services to those in need. Clearly this issue is important for clinical psychologists, but what about other psychological scientists? I believe we all have both a personal and professional stake in this issue. Estimates are that up to 50% of Americans will develop at least one mental illness during their lifetime. There is absolutely no reason to think that psychological scientists and our families and friends will somehow be spared. We have a very real stake in making sure that the service providers we and our loved ones turn to for help will apply the best available scientific knowledge in diagnosing problems, choosing and delivering empirically supported treatments, and, when appropriate, helping us navigate the thicket of new approaches and clinical trials. At the professional level, it is important to know that the mental health research landscape is dramatically changing. Considerable progress has occurred in developing treatments that reduce the symptoms of mental illness. However, it continues to be extremely difficult to get these treatments to those who need them most. Moreover, despite many decades of research and many billions of research dollars, proven methods for preventing new cases and curing existing cases have remained elusive. Thus, incidence and prevalence rates for mental illness have remained stubbornly high. This trend is all the more striking when compared with the very real progress made with other disorders such as heart disease and breast cancer. In response, a sea change is underway at the National Institute of Mental Health (NIMH). In the new Research Domain Criteria (RDoC), diagnostic categories (e.g., schizophrenia) are eschewed in favor of units of basic behavioral functioning and their associated biological substrates. When mental illness is conceptualized in RDoC in terms of constructs such as “reward learning,” “negative valence systems,” and “attention,” much of the critical expertise resides in nonclinical areas of psychology. For this reason, many of the new breakthroughs in understanding the causes of and treatments for mental illness likely will come from psychological scientists who extend the purview of their research to encompass human dysfunction. Licensed psychologists who are trained in science-oriented programs will be critical for ensuring that the fruits of these scientific labors reach those in need and help reduce the burden of mental illness. Because APA accreditation serves as a gatekeeper for licensure in most states, it has played a powerful role in shaping graduate education in psychology. 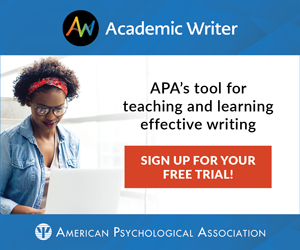 At the heart of the APA system is a belief that providing students with a common body of “broad and general” knowledge in clinical and other areas of psychology and a set of practical experiences (e.g., in intervention and assessment) is the royal road to effective and ethical practice. The roots of this pedagogy are found in a 1947 APA report on recommended training in clinical psychology and standards for accreditation. Despite a number of reforms and reformulations (including one currently underway), the training model proposed at that time (known as “The Boulder Model”) has remained remarkably intact over the ensuing 7 decades. Importantly, there is almost no evidence that this particular kind of training produces the most effective and ethical practitioners. Instead, a quite large and consistent literature indicates that the type and amount of training makes little difference in what arguably are the most important clinical outcomes (e.g., reducing patients’ symptoms). In 1992, against a backdrop of growing dissatisfaction with APA accreditation, APS and the Council of Graduate Departments of Psychology (with support from NIMH) convened a Summit on Accreditation that was attended by 139 delegates representing 87 university departments offering accredited PhD programs in clinical, counseling, or school psychology. The summit had two important outcomes. First, serious negotiations with APA over accreditation began, leading to a compromise plan in which programs could adopt a particular training model (e.g., “clinical science” for science-oriented programs or “practitioner scholar” for practice-oriented programs), design curricula and practical experiences that best fit those models, and be evaluated for accreditation on the basis of how well they met the goals of their chosen model. Second, a committee was formed to develop a “lifeboat,” an alternative accreditation system that could be activated if efforts to reform APA accreditation failed. Initially, this compromise plan appeared to be working, and the lifeboat was put aside. However, over time restrictions tightened and old requirements reasserted themselves. The proponents of science-oriented graduate programs increasingly came to feel that the APA accreditation system was impeding their ability to train clinical psychologists who were ready to reduce the burden of mental illness by applying, disseminating, and producing science. It was clearly time for an alternative accreditation system. In 2007, the Psychological Clinical Science Accreditation System (PCSAS) was formed. The Academy of Psychological Clinical Science is the parent organization for PCSAS; APS has been a major supporter from PCSAS’s inception. In 2012, PCSAS was recognized by the Council for Higher Education Accreditation and now has accredited 29 clinical science doctoral programs in the United States and Canada. PCSAS accreditation is designed to ensure that programs train clinical scientists who will be effective and ethical in science and its applications. PCSAS accreditation requires that programs cover the core content of clinical science (including psychopathology, assessment, and intervention) but does not stipulate a predetermined set of courses and experiences that programs must offer. Rather, it affords programs maximal flexibility in designing their training. PCSAS accreditation evaluates the quality of the practical and scientific training that programs provide, but it gives particular emphasis to the outcomes of this training. The careers of all students who graduated during a given period of time are closely examined to determine their engagement in professional activities that are consistent with the clinical science model and the stated goals of the training program. PCSAS programs do not only train academic researchers. Rather, they train students for a range of careers that encompass basic and applied science, program development and administration, practice, and other applications. In addition to high-quality scientific training, PCSAS programs must provide high-quality applied clinical training. Consistent with the latter, public data indicate that students in PCSAS programs do extremely well in obtaining highly competitive clinical internships and regularly attain the highest scores on state licensing exams. For the states, licensing graduates of PCSAS programs conveys numerous advantages. Graduates of these programs are particularly well equipped to improve the mental health of the public through their knowledge and application of empirically supported clinical methods and their involvement in developing, disseminating, and evaluating new and innovative treatments. And thus we come to a dramatic difference of opinion. On the one hand, advocates of APA accreditation believe that it ensures that students in a broad range of training programs will have the knowledge and practical experiences necessary to deliver psychological services effectively and ethically to the public. On the other hand, critics of the system believe that it imposes an outdated “one-size-fits-all” set of requirements that have no proven relationship to the desired outcomes; stifle innovation; interfere with students’ obtaining training in new, cutting edge areas of knowledge; delay the launching of research programs; and voraciously consume increasingly scarce financial and teaching resources. The intensity of this debate increased last year with the release of the Hoffman Report, which found major lapses in the way that APA handled ethical issues pertaining to the involvement of psychologists in enhanced interrogation in the aftermath of 9/11. The report led to the resignations of several key APA professional staff and promises of reform. It also raised significant concerns about APA’s ability to establish and safeguard professional ethics in training, accreditation, psychological science, and its applications. APA currently accredits 379 doctoral programs. These programs span clinical, counseling, and school psychology; grant PhD and PsyD degrees; and are located in universities, colleges, and free-standing professional schools. Some APA-accredited programs are very science focused, and others are not. PCSAS currently accredits 29 PhD programs, all in clinical psychology, all adopting the clinical science model, and all located in research-oriented universities. Many more programs are in the pipeline or may be PCSAS-eligible. Reflecting the importance of APA accreditation for licensure, all programs currently accredited by PCSAS also are accredited by APA (although recently the clinical science program at the University of California, Berkeley, announced that it is not committed to seeking APA accreditation in the future, and other programs are considering a similar change). This dual accreditation is costly and inefficient, and it does not serve the best interests of the profession or the public. A much better arrangement (which is found in some areas of medicine, for example) would allow training programs to pursue the accreditation that best fits their training models. Having two strong accreditation systems with parity for licensure would be good for the field and good for the health and welfare of the public. Importantly, recent efforts have led to graduates of PCSAS programs receiving parity in eligibility for licensure in Delaware and Illinois. De facto parity is also available in states with licensing laws that do not require accreditation by professional organizations (e.g., California). Efforts to obtain parity for PCSAS accreditation are currently being mounted in other states and with major federal employers (e.g., pending regulations will recognize PCSAS at the US Department of Veterans Affairs). APS has played a major role in supporting these efforts in keeping with its mission to promote the application of psychological science for the improvement of human welfare. PCSAS accreditation ensures that programs provide the highest quality training in science and its applications and that their graduates are truly utilizing clinical science in their professional lives. Having a path to licensure for graduates of PCSAS programs has significant benefits both for the profession and the public, ensuring that the best psychological science will be applied to reduce the burden of mental illness. Establishing parity for PCSAS programs in licensure must be pursued on a state-by-state basis. Your help is needed to continue ongoing efforts and start new efforts with the state psychological associations, professional organizations, university communities, licensing boards, state legislatures, and other policy makers who are involved in this process. As psychological scientists, we have both a personal and professional stake in making sure that this important public health conduit for the application of our science is fully open and flows unimpeded. Excellent review and analysis. What should be added is the chaotic state of continuing education. Offerings with little scientific support and sometimes flakey theory continue to be out there under the aegis of sponsor approval by APA. Most states require over 30 hours of CE courses, and the quality is variable. Many APS members have striven for years to improve the scientific respectability of this aspect of licensure. I think it is getting a little better but more scrutiny and, yes, political pressure are needed. It is very good that APS has been involved in clinical education and training matters. These issues affect non-licensure areas of our field as well as us clinical types. Terrific editorial. A very thoughtful and concise explication of why we need an alternative to APA accreditation and the benefits to the discipline and the public. Thanks, Bob, for launching this discussion. I do wish your characterization of APA accreditation were updated. It’s more than a little misleading to cite a 1947 APA report instead of APA’s 2016 Standards of Accreditation. You and I have had this discussion before, but I’ll submit once again that the clinical science community could better address the stakes you cite (e.g, “Estimates are that up to 50% of Americans will develop at least one mental illness during their lifetime”) if it turned toward APA with a strong message for change. To turn away and not deliver that message doesn’t strike me as the most ethical course. An excellent commentary. Thoughtful and thought-provoking — and indeed, much-needed by our field at this point in time. 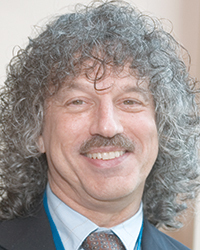 Robert W. Levenson is a professor in the Department of Psychology at the University of California, Berkeley. He is a Past President of APS and the current President of the Psychological Clinical Science Accreditation System (PCSAS).